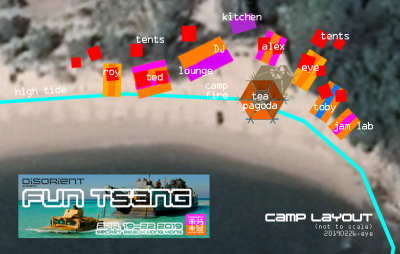 FUN TSANG (PORNJ in Cantonese) is a yearly Disorient retreat that takes place on a remote Hong Kong island. 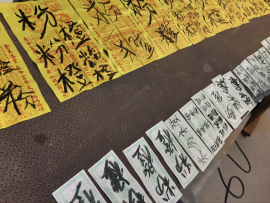 The first FUN TSANG happened in 2016 on a tiny desolate island between Hong Kong island and Lantau island. 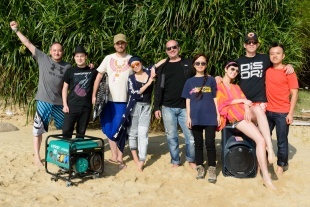 Founders (alphabetic order): Fion T., Hong Hong, Jasmine Y., Kenny Y., Martins B., Matt M., Paul H., Teddy L. and The Eye. Aside from FUN TSANG, Disorient Hong Kong organizes other regional events. 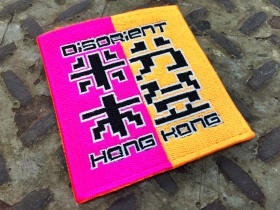 Disorient Sign - ZparkZ, Matt M.
Something Special - Matt M. and Hong H.